The other day I stumbled across a thread in one of NASA’s internal discussion forums where a few engineers were debating the finer points of a recent article in the MIT Technology Review that discussed a paper recently published titled, Life Before Earth, by Dr. Alexei Sharov. Dr. Sharov stated quite simply that due to the complexity of our genetic code and the time it took to reach this point, life on Earth likely evolved someplace else and found its way here. I won’t go into too much detail from the MIT article or the paper itself—both are listed below—but I will summarize the cogent points I think will be important to most here. A lot of what follows will likely not fall within the nice tidy boxes of what many have been taught of the beginnings of life and how we became the humans that we are today via religion, creationism, or evolution, but I ask that you keep an open mind as you read and entertain the possibilities as discussed here. I’m not here to convert anyone, just to provoke a little thought. Sharov’s premise for the paper revolved around applying Moore’s Law, which is most widely known to describe and predict the doubling of computational power in processors, as a method to describe the complexity doubling of the genetic material of life on Earth. Moore’s Law essentially is plotting the log(x) of the variable of interest as a function of time. When plotted it will show a linear increase with time and provides an accurate predictor of the time required to double the variable of interest. Since its formulation, it has been applied to describe the doubling of various performance, memory and miniaturization evolutionary changes in electronics as a whole. A relatively new application of Moore’s Law is in describing the increasing complexity of systems like networks, circuit boards, software, organisms and ecosystems. Sharov postulated that by using actual samples of genetic material that we have found in fossil records along with the genetic mapping that has taken place to date to describe the genetic evolution of the different species on Earth, then one would easily see that over time the rate of the increase of genetic code complexity and the non-redundant functional nucleotides of the DNA of organisms is described very well by Moore’s Law. Taking those sources of data, when plotted against time in billions of years, it follows what one would expect when applying the principles of Moore’s Law. Sharov then states that since Moore’s Law fits nicely to all the data available regarding genetic complexity in recent history and shows a consistent logarithmic growth in complexity, that one could use Moore’s Law to extrapolate backwards to determine the genesis of the DNA building blocks. In doing so, and taking into consideration the rather large value of uncertainty, the calculated time for initial genetic building blocks far pre-dated the accepted age of our planet by an additional 2.5 billion years. The author additionally wanted to differentiate how complexity is to be used when defining genetic complexity. As stated before, genetic complexity was defined to be the non-redundant functional nucleotides of the DNA. This was intentional as the general genome size can increase with time at a different rate due to the accumulation of redundant or additional copies of genetic code segments, and it is to date unclear how these redundant segments of code factor into the functional complexity of the organism. The functional complexity of the organism is defined as the change in the capabilities of the organism with no-to-minor change in the actual genetic code. An example of a change in the functional complexity of an organism would be to compare the complexity of human behavior some twenty-thousand years ago to today’s human behavior. We undeniably have become a much more complex organism than our forefathers. He further points out that both genetic and functional complexity can happen without any obvious manifestation in the morphology or the form or structure of the organism as a whole, which further complicates the problem and demands that the analysis only focus on the non-redundant functional nucleotides of the DNA to define a consistent measure over time. By graphing the genetic complexity of available fossil records along with current day species that represent simpler organisms of times past and seeing the tight correlation to Moore’s Law, Sharov extrapolates backwards in time and calculates that the genesis of the genetic code would have to have occurred approximately 9.5 billion years ago (+/- 2.5 billion years). The first thing that jumps off of the page with this finding is that it is dramatically misaligned with the current understanding of the scientific community regarding the age of our Earth and when Life is presumed to have begun. So in this framework, the theory of exergy works well in concert with an aspect of Darwinian theory that states one of the evolutionary drivers is the ability to acquire more resources or procreate more successfully, using the same or diminishing amounts of resources, will dictate the emergent life forms and long-term success of the organism. Jørgensen’s use of derivatives of exergy, eco-exergy density (kJ/g), and eco-exergy flow rate (kJ/g s), places the origins between 5-6 Billion years ago and similarly doesn’t fit within the current age of the Earth of 4.5 billion years. Just to bring home the implications of what was just said: two different approaches, one based upon genetic samples and chromosomal complexity mapping, the other based upon the second law of thermodynamics, both independent of one another, and both map well to Moore’s Law of increasing complexity, and both indicate that in the absence of addition of hyper-exponential growth during the early phases (which is unlikely due to the probable hostile primordial environment), the building blocks of life most likely had to have evolved someplace prior to the formation of our planet. Admittedly, these are some astounding conclusions that make one step back and take pause. However, before one jumps too far off of the conventional tracks of the history of life as we now know it, we should take a closer look at the respective papers. It should be noted that both authors reference each other’s papers off and on dating back to 2000. Don’t misunderstand, there are lots of additional references in the respective papers, but only these two make the astounding claims discussed here. That in itself is not a problem necessarily if there are not many people working on this topic, but it would imply a limited set of data and people to fully explore the theory with sufficient peer review to date. Also, Sharov’s paper does go into deep detail on the possible early chemical reactions that might have taken place and what would have had to occur for them to be sustainable and reproducible. He spent quite a bit of time talking about self-assembling molecules, compositional assemblies and how heritable surface metabolism may have evolved into RNA. He also spent some time talking about how it was possible that an organism could have survived interstellar transfer to the Earth. All of this is very interesting, but even to the slightly above average reader like myself, it was easy to get lost in these side discussions when really what I would arguably say the point of this paper was that life had to come from someplace other than Earth based upon genetic complexity and Moore’s Law. The level of detail and discussion given to these other topics almost overshadowed what I would have considered the most important point of the paper. There are always Implications and Ramifications! So what are the implications of the building blocks of life, or maybe life itself, originating someplace other than Earth? Well, more than one would first imagine, and all having nothing to do with how this would rock the worlds of the religious community. First, if it came to Earth from interstellar space, it must be wide spread across the universe or at least our local neighborhood. This is completely plausible given that we have first-hand experience with bacterial spores that have been reported revived after 25-35 million years of dormancy, and recent experiment results from the ISS where bacteria that was exposed to the extreme temperatures and vacuum of space have survived just fine. This also would imply that if the Earth was seeded with life, then so were the other planets, moons and satellites in our solar system and any which could support the basic needs of life might still have some vestige today, including Mars, Europa and Enceladus. Second, if this model of genetic complexity is correct and it has taken roughly 9.5 billion years to evolve intelligent life as we know it, and if the generally accepted age of the universe is 13.77 billion years old, then there is a miss-match in the possibility that Earth was seeded by some intelligent, extra-terrestrial life form. The universe would have only been roughly 4 billion years old, 6 billion too young to have intelligent life running around, to have seeded the Earth by an intelligent species. Sorry, your ancestor was not an ET; at least not your common ancestor. Third, with the exception of the length of time it might have taken to get from the host of origin to the Earth, there might not be anyone out there much more advanced than us. The Drake Equation, which has been popularly described as the equation that predicts the number of active civilizations in the Milky Way, may not be completely realistic mathematically. The Drake equation is largely a statistical probability of expressing the numbers of civilizations that could exist based upon the number of stars, solar systems and planets that could support life, etc. However, much of what has been talked about in these papers is that the evolution of life, and furthermore intelligent life, under ideal conditions is a time dependent function. None of the components of Drake’s equation are represented as a function of time, therefore making it a stead-state equation and not time dependent and it doesn’t take into account the amount of time required for solar systems to form and arrive at a state which could support life, the Goldilocks Zone, or how long life would take to recover after major mass extinctions as seen in our own planet’s history. Additionally, there is the Fermi Paradox (or Fermi’s paradox) that states that there is an apparent contradiction between high estimates of the probability of the existence of extraterrestrial civilization and humanity’s lack of contact with, or evidence for, such civilizations that must be framed with respect of the potential implications of these two papers. The most obvious answer might be that since it takes almost 10 billion years to develop intelligent life—assuming you consider humans intelligent—then the reason we haven’t heard from anyone is largely because we are the head of our class. We may be leading the evolutionary charge into space—for the galaxy! Fourth, if Moore’s Law is incorrect and cannot be used to extrapolate backwards in time to determine the genesis of the formations of biological life in the early universe or even on Earth, then we truly meet a new paradox. The current Moore’s Law complexity curve shows a logarithmic growth in genetic complexity of life on Earth in recent history. So for the Moore’s Law approximation to be incorrect and for life to have actually formed here on Earth since its creation, then the early years of the formation of organic molecules and associated complexity doubling would have to have occurred at a much more rapid, hyper-exponential rate than the current growth rate. Fifth, the applicability of Moore’s Law could all be completely wrong. Yep, we might be dealing with processes that do not fit nicely into the Moore’s Law and change due to higher order functions with time and we are only seeing the first order pattern due to lack of data. If you think about it, according to these authors, the building blocks of life had to have started close to 10 billion years ago. Also consider that the start just began to form roughly 12 billion years ago (+/- 1.5 billion years). So that would mean that self-organizing and reproducing organic compounds would have been in existence a very short time after the first stars began to form. Certainly not an impossibility, but it would have required that everything fall into place exactly very early in the universe’s existence. So, what’s the Bottom Line?! “So, what is the Bottom Line and how does any of this relate to my life?” you ask. The short answer is that none of this will change your day-to-day life in any meaningful way. This is a relatively new theory and still needs to be discussed widely across the scientific community and finish the peer review process. But if the math and support data is correct, then the implications as discussed above are astounding! However, the longer answer in my opinion is much more interesting and speaks much more to who we are as humans. The interesting part of all of this is that in our daily lives we constantly want to change our art, our technology, our cars and our architecture just to name a few. All the while there is significant inertia against changing who we are on a personal level. We (and I speak generically over the course of history) don’t like it when the racial or religious status quo changes. We don’t like when political parties change over. We don’t like the changes to the culture that is brought in by the youth. We don’t like it when athletes use performance-enhancing drugs. And heaven forbid we change our genes to eliminate disease before it happens or makes us stronger or smarter. The reality is that we exist in a situation where we want the world to change in ways that are convenient to us, but in no other way. Whenever change implies that we may, on a personal level, become redundant and unable to compete for sport or resources, we fight the forces of nature with all that we have. But in nature, you can only hold the course of the river for so long before it will go on the path it is meant to take. We cannot stop the wind from scattering the sand on the beach. Whenever a species cannot change with time it either becomes a genetic dead end or becomes extinct. Yes, the cockroach and the crocodile have changed very little over the last several million years and continue to survive, but they also became nothing more. And at some point in the future, a new emergent species is likely to surface to fill the vacuum of complexity that the universe demands to be filled. One thing is clear, with our rapid population growth, reduction of natural resources, the exponential growth in our computational and communication technologies along with our understanding of genetics and how to engineer them; change will happen. We can embrace it in a deliberate way, or it will happen upon us in an ungraceful and likely undesirable manner. We are at, or are rapidly approaching, the threshold of a change for our species. In recent history—the last ten thousand years—we have been undergoing exponential evolution in our functional complexity, doubling every twenty years. No one can argue against the fact that our collective civilization is much more complex than it was back then. 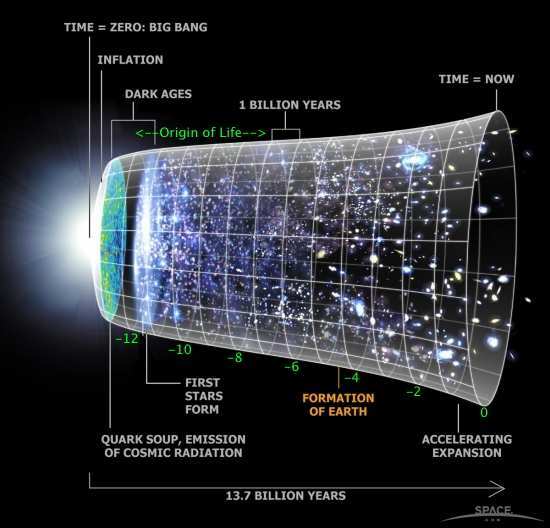 And in geologic time, that is relatively just a fraction of a second since life appeared on Earth. Now the questions are: Will we be like the child of steel and flint who burns bright and hot, but lives only briefly? Will we be like the dinosaurs that covered the entire planet and dominated the top of the food chain, only to be all but forgotten with time due to our own hand or through nature’s, and replaced by another species such as artificial intelligence? In recent years there has been talk of a ‘technology singularity’ that is rapidly approaching where true artificial intelligence (AI) comes into being and humans almost instantly become irrelevant, supremely inferior and a threat to the existence of the artificial intelligence. After the singularity, it is impossible to project what the future of AI or what the human species might be given our lack of experience with true artificial intelligence and the fact that humankind will no longer be the most intelligent, and powerful, life form on the planet. However, Sharov argues that with the exponential functional complexity growth rate in areas of biology, genetics, molecular biology, cyber-human physical interfaces and communication, that there will be a ‘biological singularity’ that will occur long before that of the technological variety. A period where we will have the capability to fundamentally change our genetic makeup, augment our intelligence either genetically or via some form of human-AI combination. And in reality it will probably be ‘needed’ for those who can afford it to maintain their edge in society and the marketplace. Some shirk from the thought of people changing themselves to get ahead and for the sake of money, but this is what natural selection has been doing for billions of years. The only difference is that we will be actively affecting the outcome of evolution in a very rapid way. When I sit outside this afternoon and feel the cool breeze on my skin in opposition to the warmth of the sun, and hear the birds sing and I watch my children playing make believe in a wooden fort or nothing at all, I feel nostalgic in that this could be the last generation that is able to experience life and the world the way I do today. That may be because we actively change ourselves in new and yet un-conceived ways, or we resist the change and allow a vacuum between the change of our functional complexity and our morphology, and we are replaced by a more complex emergent species via environmental collapse or via the eventual technological singularity. But then I turn on the news or read the news stories on the internet regarding the environment and the horrific actions of man. And when I consider that there are several natural forces working against our future, I am lead to believe that perhaps a steep change in who and what we are would not be a bad thing, so long as we could maintain some part of what we are today. Perhaps we should take a Zen-like approach to all of this. We should accept and celebrate the things that are guaranteed to us—one of which is Change. Once one realizes that change is inevitable and that we are just a snapshot in time of what we call the human organism, we can embrace what is going on and what will come in the future. So instead of fearing the changes, we only need to make sure that the changes pass the filters of morality and what is ultimately in the interest of good for our species. For me, I see this as very liberating and fundamentally exciting to know the potential that we have ahead of us and what we might become. Yes, that would mean that I very well might become redundant, but Father Time was going to see to that anyway…eventually. Jørgensen, S. E. 2007. Evolution and Exergy. Ecological Modelling, 203(3-4): 490-494. Thank you very much for your note! I’m glad you found it interesting and I hope it will provide some thought-provoking conversations for you. It’s my intent to continue to provide similar articles in the future on science, technology and the human condition – as I feel that they will continues to be more tightly coupled in the future. Please continue to stop by and add your comments! IF anyone is having multiple RSS/email notifications from this page or website, please look down at the bottom of this blog article to see if either of the notification boxes are still checked. If so, uncheck them to see if that will work. Thank you for your kind note and your offer. Honestly, I had not thought about having guest writers here. But if you would like to stop by my FaceBook page and drop me a note and let me know what kind of things you had in mind, I will consider it. normal things, The site style is ideal, the articles is truly great : D.
Thank you Carmen for your positive feedback! I’m currently finishing up my full-length science fiction novel In the Days of Humans: Third Exodus, so the new posts may be a little slow this month, but please keep stopping by from time to time! Greetings! I’ve been following your weblog for some time now and finally got the courage to go ahead and give you a shout out from New Caney Texas! Just wanted to mention keep up the excellent job! Hello, Welcome, and thanks for dropping a note! New Caney is not that far away from me in Houston – practically neighbors from a global perspective! I hope you continue to stop by from time to time and enjoy what I have to offer. issues with my latest blog and I’d like to find something more safe. Do you have any solutions? I am currently using WordPress. They have a free option and you can build upon it by paying for premium services, like added security and spam filtering, later if you wish. Additionally they have hundreds of pre-build themes, like this one, that you can use to speed up the process of setting up a site. Hope this helps! Thank you for your note. I did not create the theme – the creator and the name of the theme can be seen at the very bottom of each page. But once you have the theme picked out, on WordPress, it is quite easy to build your own site. Good post. I learn something totally new and challenging on sites I stumbleupon every day. It will always be helpful to read articles from other authors and use something from other websites. Thank you incredibly substantially for your exciting text. I have been looking for these types of message to get a definitely very long time. Thank you…. I am extremely impressed with your writing skills as well as with the layout on your blog. Is this a paid theme or did you modify it yourself? Anyway keep up the nice quality writing, it抯 rare to see a great blog like this one today…..